An apricot is a fruit resembling a peach or plum. They have the ability to improve hair and skin health with their vitamin C and vitamin A content. An apricot is a fruit resembling a peach or plum. Apricots have a soft, tangy flesh beneath the thin outer skin. They may be consumed raw or eaten as dried apricots. The unique properties of apricot nutrition can help improve the quality of one’s health. Apricots have the ability to improve hair and skin health with their vitamin C and vitamin A content. Eating enough vitamin C can help the body create and maintain collagen, an essential protein found in the hair and skin. Collagen is critical because it holds the skin, tendons, and ligaments together. According to the United States Department of Agriculture (USDA), apricots also contain about 60% percent of the daily recommended vitamin A intake per cup. Vitamin A has been known to keep the hair moisturized through increased sebum production. Vitamin A, along with other antioxidant compounds, can help protect the retina (the inner layer of the eye that is sensitive to light) from damage caused by blue light. Antioxidants are natural substances that may delay or prevent cell damage. Antioxidants in apricots can also protect the body from inflammation. Inflammation is the body’s first attempt at defending itself and trying to heal itself. Too much inflammation is unhealthy, and there is ongoing research to establish the link between inflammation and heart attacks. Apricots have a large amount of a particular type of antioxidants, called catechins. Researchers have suggested that catechins slow down the enzyme activity that is necessary for inflammation. The fiber content in apricots can help fight constipation and improve digestion. Apricots are an incredible source of dietary fiber, which help protect the digestive system. Dietary fiber can prevent constipation and help the body drive out biological wastes, as it maintains a healthy blood sugar level. Fiber, obtained through apricots, can also help scrape cholesterol out of the arteries and blood vessels. The minerals from apricots are great for improving bone health. Apricots contain some amounts of the following minerals: Calcium, phosphorus, manganese, iron, and copper. Consuming the mineral-rich apricots ensure the healthy growth and development of bones, as well as the prevention of bone-weakening diseases like osteoporosis. Apricots are packed with potassium and are low in sodium. One cup of sliced apricots contains 401 milligrams of potassium compared to only 1.6 milligrams of sodium, per the USDA. A high potassium and low sodium diet can lower the top number on one’s blood pressure (systolic blood pressure), lower cholesterol levels, and improve performance of insulin in the body. Other minerals, like iron and copper, can assist in the body’s red blood cell production. Apricots are excellent sources of iron, which is essential for the production of energy and red blood cells, which carries oxygen to all cells in the body. Iron deficiency may cause anemia, fatigue, and make the body more vulnerable to illnesses. Ali, S., Masud, T., & Abbasi, K. S. (2011). Physico-chemical characteristics of apricot (< i> Prunus armeniaca</i> L.) grown in Northern Areas of Pakistan.Scientia Horticulturae, 130(2), 386-392. Burnell, J. M., Villamil, M. F., Uyeno, B. T., & Scribner, B. H. (1956). The effect in humans of extracellular pH change on the relationship between serum potassium concentration and intracellular potassium. Journal of Clinical Investigation, 35(9), 935. Majmudar, G. (2006). U.S. Patent No. 7,025,966. Washington, DC: U.S. Patent and Trademark Office. Rao, A. V., & Rao, L. G. (2007). Carotenoids and human health.Pharmacological research, 55(3), 207-216. Poiroux-Gonord, F., Bidel, L. P., Fanciullino, A. L., Gautier, H., Lauri-Lopez, F., & Urban, L. (2010). Health benefits of vitamins and secondary metabolites of fruits and vegetables and prospects to increase their concentrations by agronomic approaches. Journal of Agricultural and Food Chemistry, 58(23), 12065-12082. Leccese, A., Bartolini, S., & Viti, R. (2008). 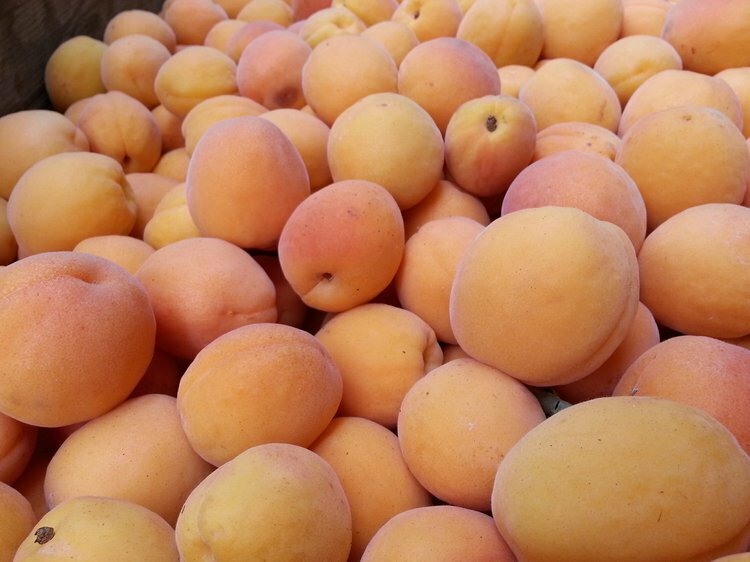 Total antioxidant capacity and phenolics content in fresh apricots. Acta Alimentaria, 37(1), 65-76.